Located in Bolzano in Italy, the Saint Genesio is a great way to explore the Salto high plateau. 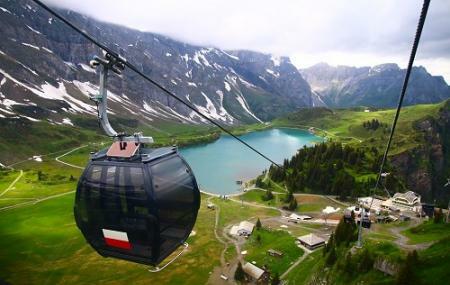 The ride offers great views of the surrounding Dolomite mountains. The ride starts from Castel Roncolo and takes 10 minutes to reach San Genesio. Along the way, you can enjoy the views of many castles and mansions along with Lake Caldaro. At San Genesio, you can enjoy many of its hiking and biking trails and also horse riding. Explore Saint Genesio Cableway and other prime spots of the city using Bolzano trip planner. Hotels like Hotel Berghang, Hotel Raffl, Der Eggentaler and Hotel Rotwand will solve your problem of where to stay in Bolzano. Draft the best Bolzano vacation packages using ideal templates offered by TripHobo. Also explore how to reach Bolzano on the go! Love this? Explore the entire list of places to visit in Bolzano before you plan your trip. Fancy a good night's sleep after a tiring day? Check out where to stay in Bolzano and book an accommodation of your choice. How popular is Saint Genesio Cableway? People normally club together Castle Roncolo and Oswaldpromenade while planning their visit to Saint Genesio Cableway. One of the 3 cableways that start from Bolzano/Bozen. Amazing views and good start for nice walks. Quick way to get to San Genesio instead of driving a winding road. The start was very friendly, views are nice, I was a bit underwhelmed by the village.